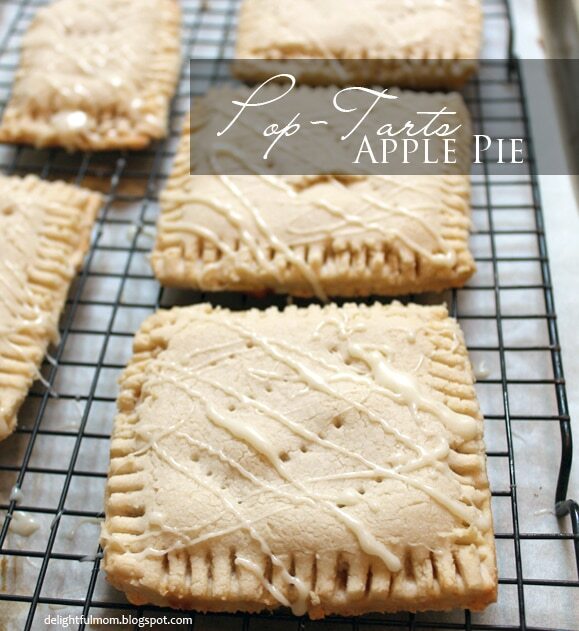 Homemade gluten free pop-tarts filled with creamy apple pie filling. If your mornings are like ours they are very, VERY busy, and fast moving with little time for breakfast. 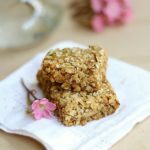 I love to have breakfast items available like granola bars or breakfast bars that are somewhat nutritional and easy to grab and eat on our morning drive. 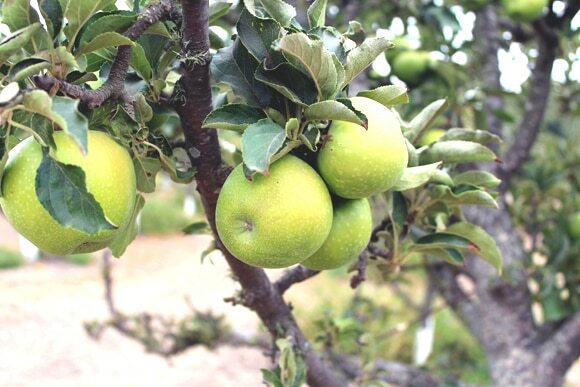 Recently we visited our local apple farm. 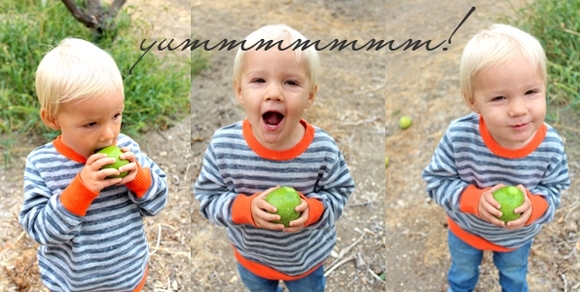 After coming home with a large amount of apples from Apple Lane Farm, Chase and I made some goodies. Goodies included mini pies, a large batch of apple pie filling, and homemade pop-tarts! Most pop-tarts are processed and made with high fructose corn syrup, which is off limits around here. 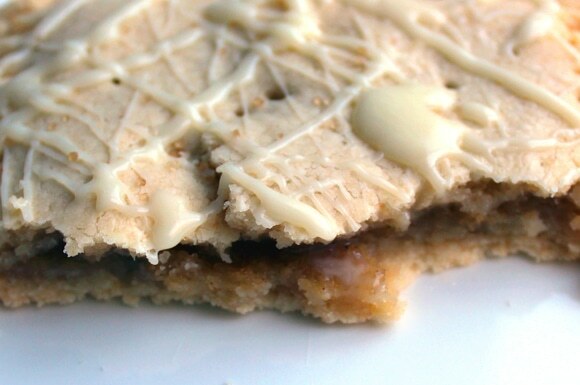 Homemade pop-tarts are processed-free, fresh and these ones are gluten-free! Working with gluten-free flours is tricky as they can turn out dry. But combining almond meal flour or tapioca flour with gluten-free flours gives some baked goods the perfect balance of moisture. Spread about 1-2 tablespoons of any of these fillings in the center of your homemade pop-tarts. Also, we are always over at The Pin Junkie. Join us over there for a Friday Link Party! In a large saucepan combine all apple pie filling ingredients except vanilla and apples. Stir over medium-low heat until thickens (about 2 minutes), constantly stirring. Add apples and vanilla and simmer on low about 1 minute. Remove from heat and serve. Put filling in a blender and puree until smooth. Preheat oven 375 degrees F. Make the crust by combining Almond Meal, Flour, salt and butter in a mixing bowl. Mix on medium speed for 1 minute or until well blended. Using a rolling pin, roll dough into a flat rectangle shape. Use a knife to cut into 16 small rectangles or 8 large squares. Lay out your crust rectangles on a flat surface or on a cookie sheet lined with parchment paper. Place 1-2 Tbsp apple pie filling mixture in the center of half of them. Whisk egg in a small bowl and use your fingers to line the edges of your rectangles (the egg helps seal the edges). Cover each apple tart with a plain crust and seal the edges together with the tines of a fork. Poke holes on top of tarts to allow air in when cooking so it does not puff up. 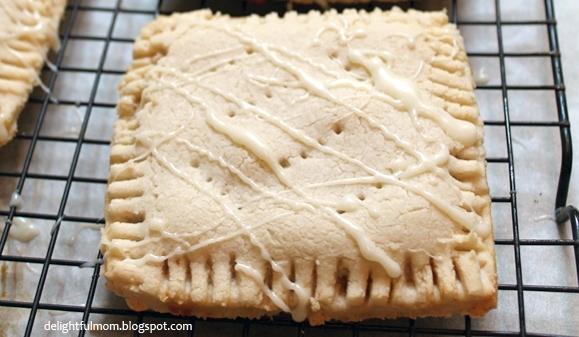 Place pop-tarts on a cookie sheet lined with parchment paper and bake 13 minutes or until golden brown. Move to a cooling rack. Heat in microwave for about 15-30 seconds icing ingredients (milk/cream and white chocolate). 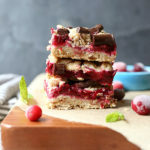 Mix well and with a fork dip in white chocolate and twirl over pop-tarts. Love this idea! My sons and I have been GF for four years, and I'm always on the hunt for new ideas. My favorite GF flour blend is equal parts tapioca, sweet rice, and sorghum. Almond flour is a great way to add moisture…I agree. Sharing this on Pinterest! Love that you are anti-HCFS as well. Thanks for sharing your favorite GF mixture Nicolette! I will have to try it and thanks for sharing! What an adorable little guy! Fresh apples are amazing, and I actually was wondering about making my own pop tarts just the other day. Thanks for the inspiration!